There is estimated to be a shortfall of approximately 11,000 ICT professionals in Scotland per year. Recruiting more women in to the digital sector is a key part of the Scottish Government’s plans to reduce the Digital Skills Gap in Scotland, a goal we at CAS strongly support. According to a 2017 survey, over 88% of Software Engineers worldwide are male and only 7.6% are female. For 5 years now, CAS has been involved with Careerwise run by Equate Scotland. Careerwise is a paid placement scheme for women studying STEM subjects at Scottish Universities and Colleges. 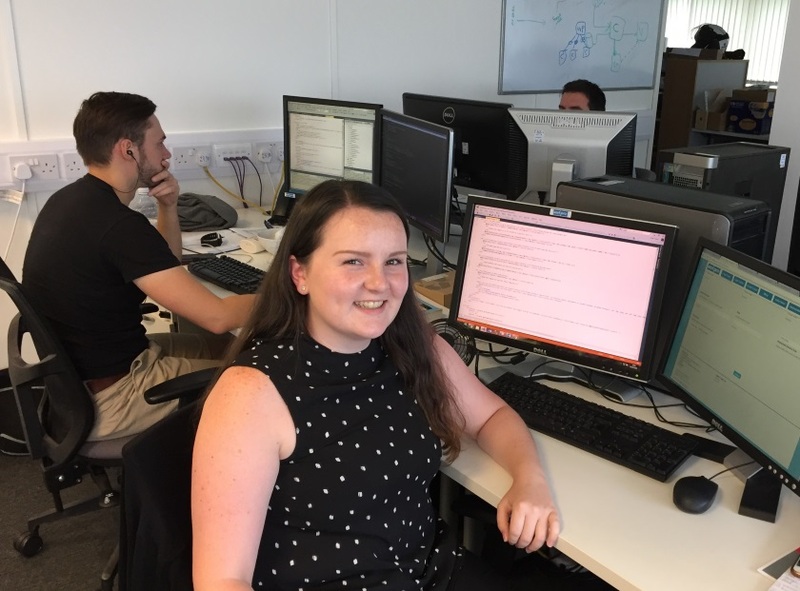 Every summer we employ a female intern in our Software Development team, working on our leading case management product Workpro – a chance to take part in high quality projects in a commercial environment. This year we are delighted to have Kelly Taylor from Strathclyde University with us. Kelly is studying Computer Science and is putting the skills she is learning to good use on a project to extend our online Helpdesk portal. The new Helpdesk version is about to go live and Kelly has played a vital part. Kelly in turn has gained valuable experience ready for her first job post-graduation next year. We also support the innovative CodeClan initiative, a dedicated software skills academy based in Edinburgh, which runs 16-week Professional Software Development courses, for people wanting to change to a career in software development. Our new Testing Engineer Ben Bowen has come from this route, swapping maths teaching for an ICT career. And finally, but by no means least, we are supporting one of our software engineers, Peter Hyder, through a Graduate Apprenticeship at Heriot Watt University, Edinburgh. Heriot-Watt is one of the pioneers of Graduate Apprenticeships, a scheme run in conjunction with Skills Development Scotland which enables apprentices to gain degrees while working for their employers. Peter spends four days a week working here at CAS, with the fifth day spent at university for teaching. “One of my favourite aspects of my role as CTO is to see members of the team grow and develop, discovering new things and taking on new responsibilities. “As an employee-owned company we’re fortunate to have an experienced team who are extremely engaged and have a strong sense of pride and ownership about their work and about the company. It’s really gratifying to play a part in their career development. To learn more about how we are supporting these initiatives please contact us on 0131 449 7071. To learn more about the software Kelly, Ben and Peter are working on, visit our product website: www.workpro.com. Workpro is case and complaint management software used in public sector and commercial organisations throughout the UK and worldwide. Workpro helps organisations to better record, track and report all regulated casework – specialised versions are available for customer complaint handling, Employee Relations HR case management and FOI/DP requests.